Synthetic fill. 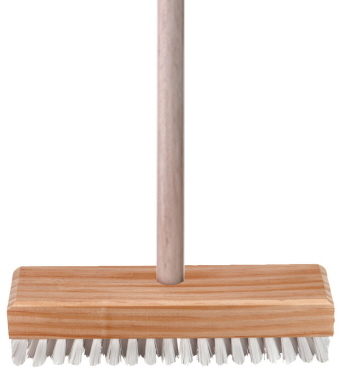 It is also available fitted with a plain timber handle. Ideal for all outdoor areas including decking. It fits 25mm handle.